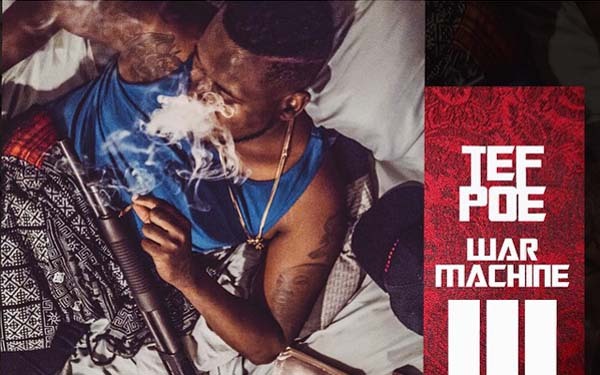 Tef Poe’s War Machine Sagas are some of his best work. If you aren’t familiar with his artistry,activism, or why he is considered to be an important voice within our generation, then it’s time to get hip. “Prince” Single available on Itunes: Buy Prince Now on Itunes! Thrust into the national spotlight after the Ferguson Uprising, the latest video from this retired 106 and Park “Freestyle Friday” Champ and the Source’s Unsigned Hype alum, sees Tef Poe reflecting on his whirlwind year. Produced by Los Angeles’ MCF Beats, “Prince” is a melodic look mid-tempo track that was recently picked up by St. Louis urban stations. The video was directed by Biko Baker, and was partially shot in the Cahokia Mounds, that largest Native American structure in the America. A large pyramid like edifice, the mounds are just outside of St. Louis and once inhabited up to 20,000 native people. The video is the lead visual for Tef Poe’s Delmar Records release War Machine III, which will hit iTunes on Tuesday, July 14th. After a busy winter which saw him traveling to Palestine, London and Paris rapper and activist Tef Poe returned to the studio this past Spring with a new perspective on life. Playing a key leadership role in the growing #BlackLivesMatter movement, Tef Poe is learning the delicate balancing of being a national recognized leader while also trying to be a working artist. This unique tightroping act and other muses serve as inspiration for War Machine III.